NHL 12 XBox 360 Review The downside to NHL 12 is the lacklustre Be a GM Mode but hopefully in future incarnations, this will be more refined. However if you just want to play hockey, this is the game to get for the 360! EA Sports definitive series returns again in NHL 12, the latest and greatest virtual hockey game as players engage in another riveting installment of this sport in order to take home the Stanley Cup plus a whole lot more. Although the previous game was almost perfect when it came to hockey in the console world, EA Sports have tweaked this current instalment in order to fine tune the mechanics even more. 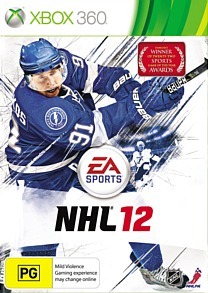 With state of the art graphics, a sturdy and holistic gaming engine, NHL 12 is easily the best hockey looking and more importantly, best playing game to date. 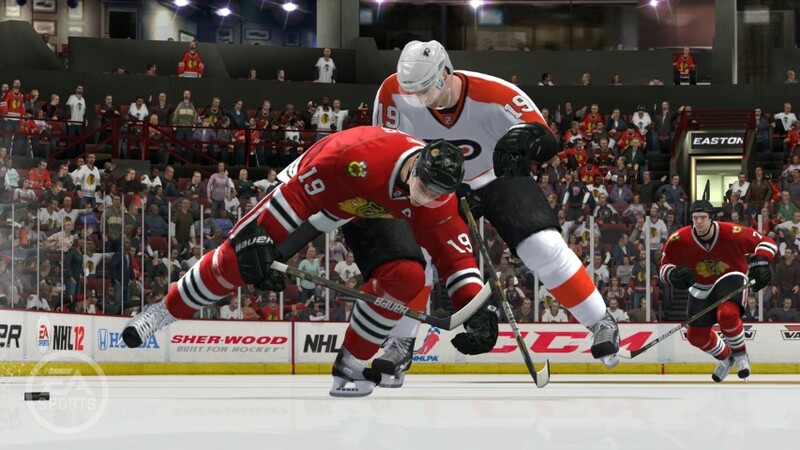 The first thing that you will notice about NHL 12 is the all new physics engine that truly transcends anything that we had the pleasure of playing. 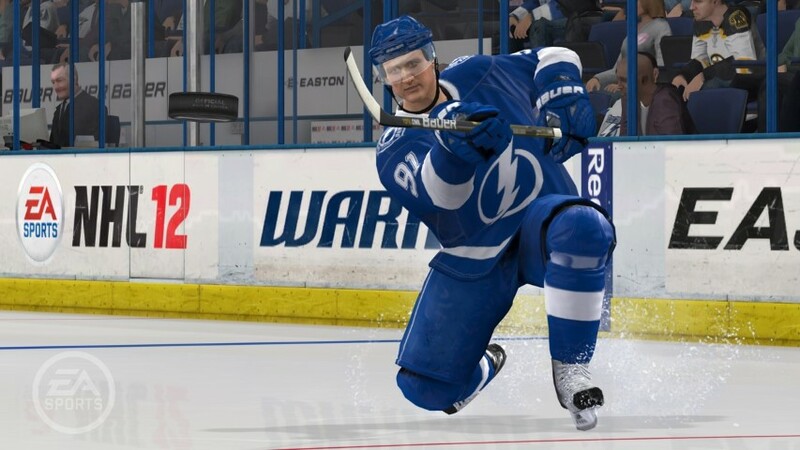 Unlike the rather readable players of the past, NHL 12 has players that are more realistic as they interact with not just the environment but the players around them like their real-world counterparts. Even the AI in the game has been slightly revamped which in turn mirrors a real game of hockey and depending what level you are playing, this can sometimes cause the player a whole world of hurt. Apart from the standard gaming modes such as season, online play via XBox Live, my favourite aspect of NHL 12 is the "Be a Legend Mode" that brings together 9 of the great legends of Hockey such as Wayne Gretsky and Ray Bourque. By playing the greats, you need to help them achieve or better their records which is quite a challenge in itself. You can even use the legends in other gaming modes in the game as you collect ultra-rare legend cards and use them in the game, even online or just battle them in the Legends team. The new Action Tracker feature allows you to pause the game and track all the action that has occurred in the game. It's quite realistic to pause and the game see the action from a variety of different angles. The controls on the 360 work well and everything has been mapped perfectly onto the controller. In relation to the new physics engine, I really dig the all-new balance control system. This system takes into account the statistics of the players which makes the gameplay more realistic and thankfully more fluid as they slam into each other and perform realistic manoeuvres as they hit the ice. The Be a GM mode still needs a little bit of tweaking because the AI controlled GM's still make some strange decisions when it comes to trades and drafting. However, it's definitely a step in the right direction and this franchise style of sports management is a slight improvement since last year. I love the use of statistics in the game and thankfully these are taken from the real-world. Online play is equally as entertaining that contains a whole wealth of options for the gamer and we only experienced limited net disruptions. Graphically, NHL 12 is a visual treat on the XBox 360 with some exceptional attention to detail that will leave you gobsmacked. From the authentic logos to the realistic stadiums, everything flawlessly comes together in NHL 12. It's almost like watching it live on your FULL HD TV. The highlight for me, however was the realistic physics engine as the players knock that puck, bounce off the walls and slam into other players. Players still have those "dead" eyes though but the ice effects are to die for. Commentary is equally as impressive as the graphics with a play by play account of the game plus some great sound effects of hockey thrown in for additional realism. The soundtrack is awesome and features some head pumping licensed rock tracks to help get your adrenaline pumping. One gripe with the commentary is that sometimes the commentators do make a mistake when reporting back but it's quite rare. EA Sports once again make head roads into the hockey arena by creating the best hockey game to date... it seems that EA does this every year with their NHL series. Gameplay is refined, more powerful and caters for both newcomers and veterans alike. The inclusion of the 9 legends is brilliant and it's quite fun taking legends such as Gretzky for a spin on the ice. 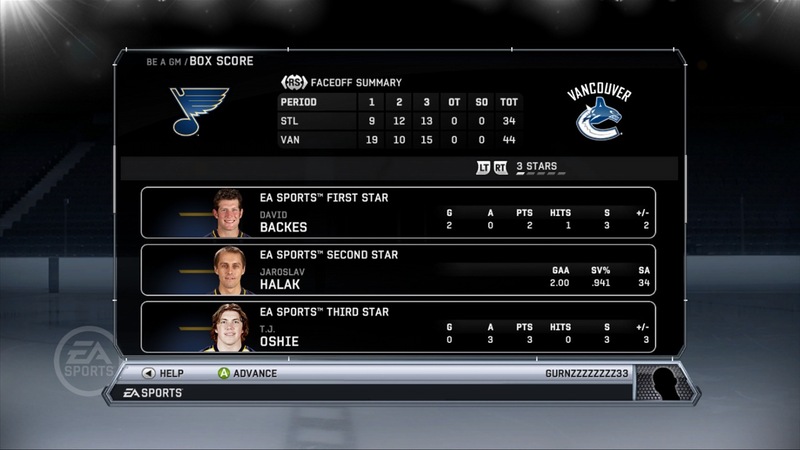 The downside to NHL 12 is the lacklustre Be a GM Mode but hopefully in future incarnations, this will be more refined. However if you just want to play hockey, this is the game to get for the 360!